RC Agencies, established in the year 1983 known as a prime manufacturer, supplier and trader of superior quality Tools and machinery. 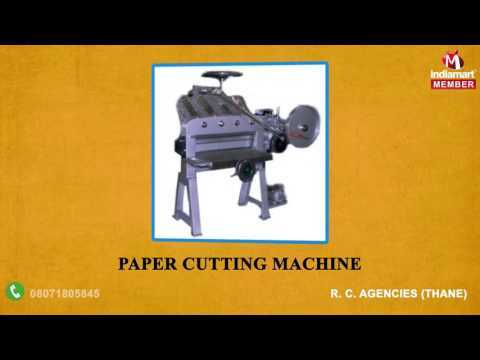 We offer a wide variety of products in the range of Printing Machine, Cutting Machine and Punching Machine. Our machines come with an ergonomic design, reliable performance, and ease of operation which makes them an optimal pay-off. We have manual as well as automatic mechanisms built in most of our machines which is an extremely smart choice for most of our customers. Our machines are manufactured with the latest technology and are also high on the quality front. Features such as sturdy construction, optimal power consumption, user friendly operation, fine finish, high durability are no strangers to us and are available in all of our machines.